Bring the tropics home with you by planting a king palm and taking care of it. 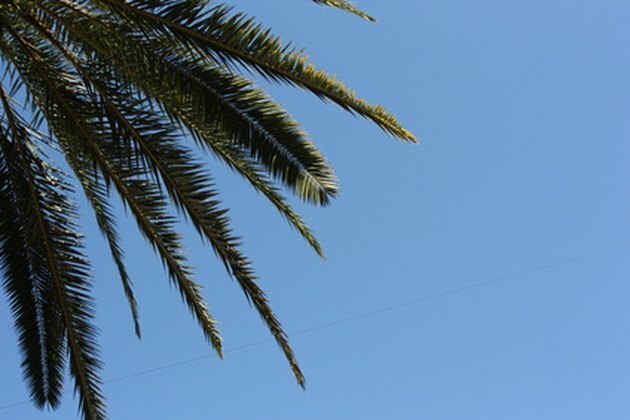 King palms are fast-growing palms that can reach a height of 20 to 40 feet. Originally native to Australia, the King Palm has a smooth, ringed trunk with dark green palm leaves and also produces a small red decorative fruit. According to Woodland Nursery, which specializes in the King Palm, this type of palm makes an elegant addition to your tropical garden. And, in case you live in a colder climate, the king palm is hardy: it can withstand cold as low as 28 degrees F.
Choose where you intend to care for a King Palm: outside or inside. These palms may be planted indoors, but you should consider the fact that it may grow to 40 feet or more tall at 1 to 3 feet/year so you need high ceilings. 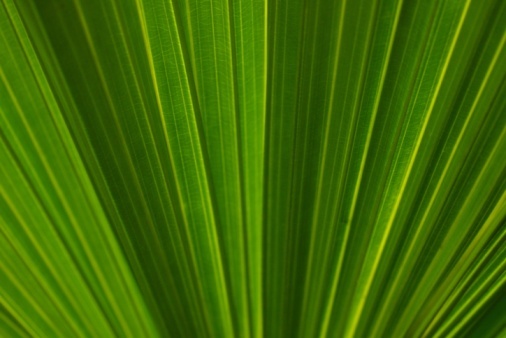 Note that King Palms prefer partial sunlight, but can be grown in full sunlight. Ensure the King Palm's roots grow in sand as well as soil. To properly care for your King Palm, replicate these settings as best as you can. The bottom of your planting site should have four inches of sand and the rest of the site should have a mixture of sand and soil. Keep the soil moist and water the plant with plenty of water. King Palms require more water than other palms. If your King Palm is planted in a pot, pour enough water into the soil so that some runs out the bottom (make sure you have something to catch the water such as a bowl or a dish). If your King Palm is outdoors, water enough so that small pools form on the surface of the soil. Water your palm three times a week during summer; water more during drought conditions. Fertilize your King Palm four times a year. Use a slow-release palm fertilizer, usually labeled as 12-4-12 or 13-13-13, that comes in the form of pellets buried at least 2 feet from the base of the tree. Palm fertilizers are available at most garden stores. Inspect the King Palm fronds at least once a week for damaged fronds or spider mite infection. Remove the damaged fronds from the tree. If spider mites are present, you will notice tiny white spots on your palm's leaves. Consider using a miticide to kill the mites or using an alcohol-water solution (with one part alcohol and three parts water). For the most part, care of King Palms is minimal. Provide support at the base of your King Palm's trunk if you notice that the trunk is leaning toward one side. Use boards (such as 2x4s) and bungee cord to support the tree. Place the boards in the soil around the tree to straighten the palm's growth; use the bungee cord to secure the boards in place.